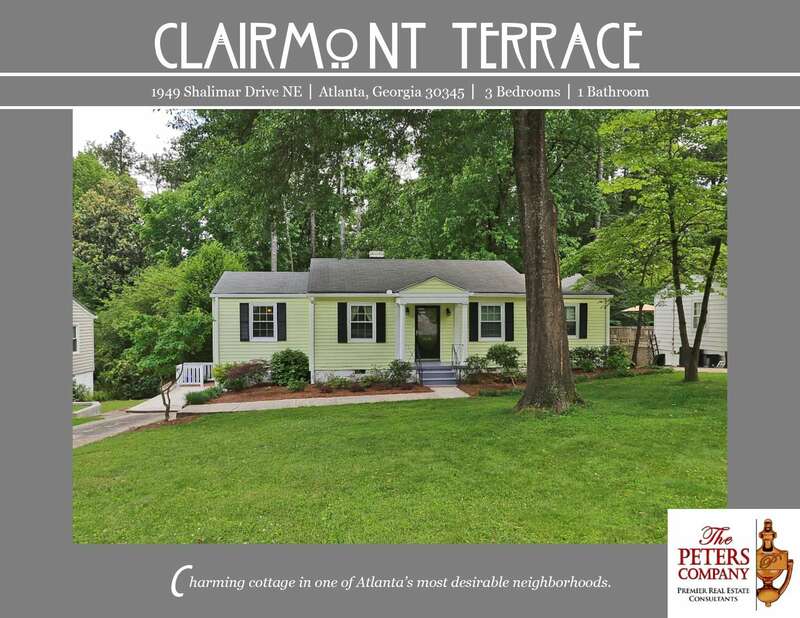 Just Listed :: Charming Cottage in Clairmont Terrace! Kitchen features ample cabinet and counter space. Spacious living room boasts neutral colors and crown molding. Master suite is a true retreat with wonderful natural light. Sunroom is light and bright, and would be great as a playroom or home office! Unfinished basement is waiting for your ideas. It provides tons of extra storage. Wonderful outdoor space includes a large deck and stone patio overlooking the fenced backyard– ideal for outdoor enjoyment and entertaining! Front and back yards professionally landscaped! Call The Peters Company today to see this adorable home at 1949 Shalimar Drive NE… 404-419-3619!